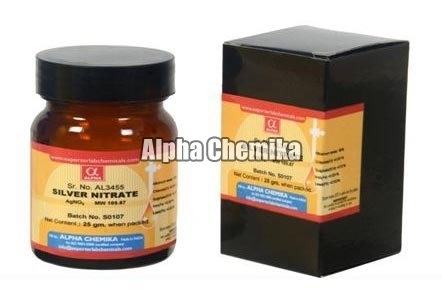 Silver Nitrate is a laboratory chemical that has a molecular formula AgNO3 and molecular weight 169.87. Silver Nitrate is used in water purification, medical and wound dressings, manufacturing electronic materials, ethylene oxide catalyst, photographic film and paper, mirroring solutions etc. Available in both crystal and pellet form, the Silver Nitrate is of the best quality.